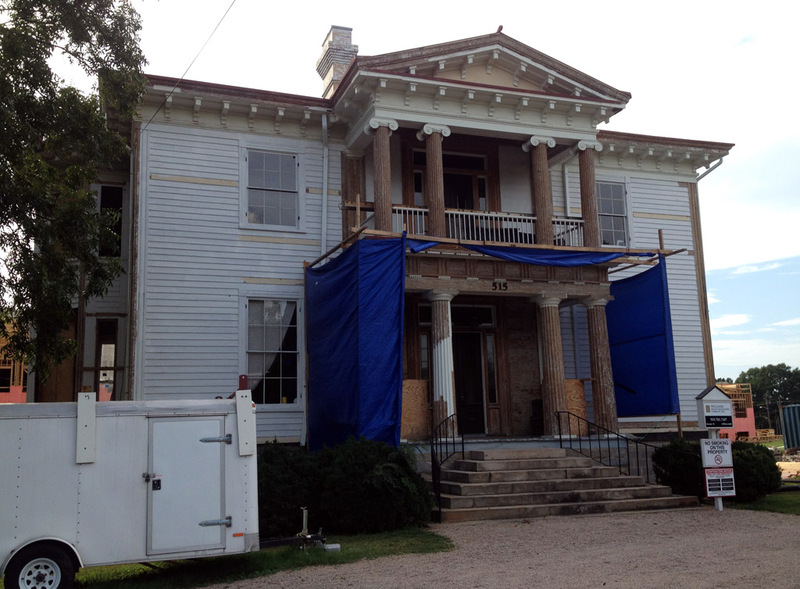 Join GNR this Weekend for a Behind the Scenes, Restoration in Progress Tour! Have you ever wondered what goes on during the meticulous process of restoration of a historic building? 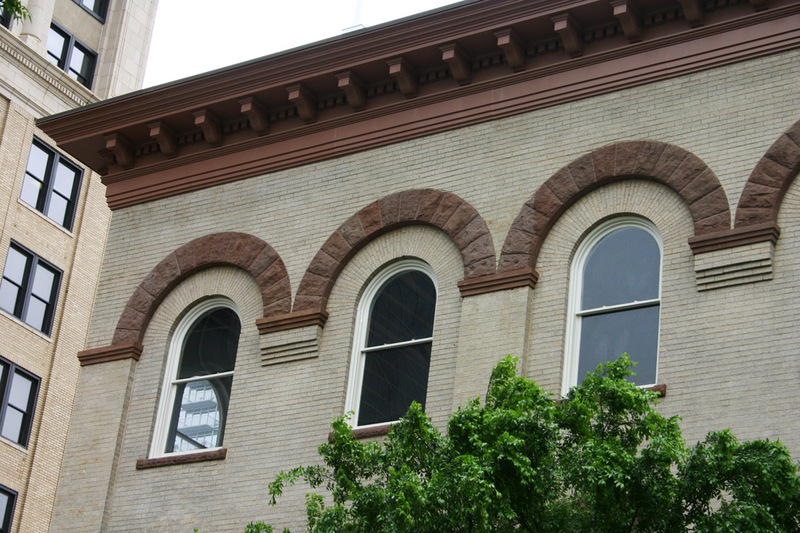 If you are curious, now’s your chance for a behind the scenes tour of four historic downtown Raleigh landmarks! The tours, sponsored by the Raleigh Historic Development Commission, will take place this Saturday, January 10, 3.00-5.00 pm. Read on for the details! You are invited to join Goodnight Raleigh and the RHDC this Saturday, January 10, for a behind the scenes, self-guided tour of four recently-restored, current and future Raleigh Historic Landmarks before they are occupied. Representatives of the properties, including architects, will be on hand to answer questions and share rehab information. The tours are free! No registration necessary. You may tour the buildings in any order. H.J. Brown Coffin House and Embalmers/Raleigh Industrial Bank, 200 S. Salisbury St.
Erected in 1906, this finely detailed Romanesque Revival commercial building was completely encased with concrete panels in a failed ‘modernization’ attempt in 1972. 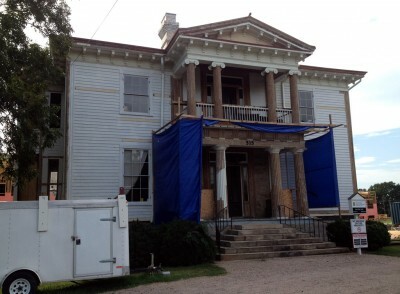 Raleigh businessman James Goodnight purchased the property in 2012, removed the panels and embarked upon a major overhaul of the historic structure. Goodnight’s restoration included a meticulous recreation of the street facades and refurbishment of the building’s handsome stonework. Be sure to check out the creative mural on the south wall, recently painted by Raleigh artist Luke Buchanan. Lewis-Smith House, 515 N. Blount St. This Greek Revival/Italianate styled masterpiece was built ca 1855. It is one of only a handful of antebellum residences still standing in Raleigh. To prevent its demolition in the early 1970s, the house was moved from its original site on Wilmington St. to Blount St. It is currently being restored for adaptive reuse as lawyers’ offices. The Lewis-Smith House has been designated a Raleigh Historic Landmark by the RHDC. 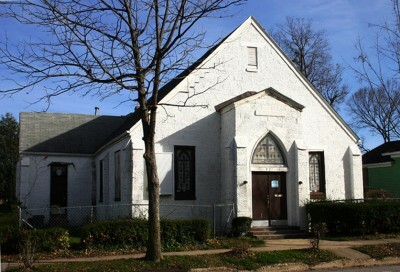 Gethsemane Seventh Day Adventist Church, 501 S. Person St. This charming, vernacular Neo-Gothic church was erected in the heart of Raleigh’s African-American community in the mid-1920s. The building suffered substantial structural damage as a result of the tornado that struck downtown Raleigh in 2011. It is now being restored for adaptive reuse. 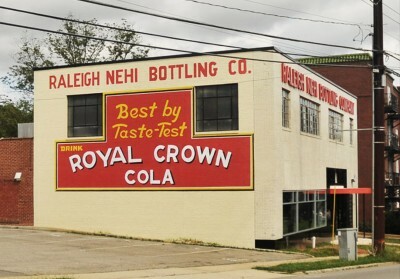 Raleigh’s renowned modernist architect, William Henley Deitrick, designed the Nehi Bottling Plant in 1937. 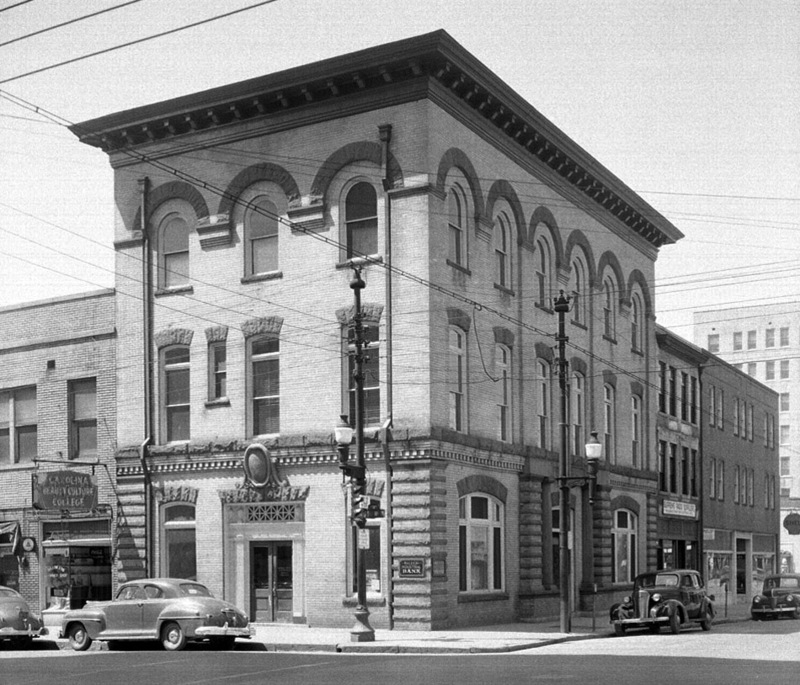 It was Raleigh’s first commercial building to embrace the International Style of architecture. Following many years of disuse, the landmark was purchased and faithfully restored by James Goodnight. The restoration includes recreation of the Hillsborough St. facade and the visually striking wall sign, which was researched and repainted by Raleigh artists Luke Buchanan and Ollie Wagner. The Raleigh Nehi Bottling Plant has been designated a Raleigh Historic Landmark by the RHDC.